— The authority of mystery is a phrase used by Pope Benedict XVI to describe the power of the divine liturgy. For us, it is also a good way to understand the broader relationship between the Word of God and the people of God, the Church. The Church is born under the authority of mystery. It bears witness to the mystery of the incarnation, the mystery of the Word of God made flesh. This Word, Jesus Christ, discloses the face of the Father and the mystery of his will, the plan of the mystery hidden for all ages. The authority of mystery is a phrase used by Pope Benedict XVI to describe the power of the divine liturgy. For us, it is also a good way to understand the broader relationship between the Word of God and the people of God, the Church. The Church is born under the authority of mystery. It bears witness to the mystery of the incarnation, the mystery of the Word of God made flesh. This Word, Jesus Christ, discloses the face of the Father and the mystery of his will, the plan of the mystery hidden for all ages. The mystery of God is his loving plan of salvation—to share his life with his people by means of a new covenant, making them divine sons and daughters in his Church, the kingdom of God. This mystery forms the content of the canon of sacred Scripture. The Bible narrates the slow unfolding of the mystery in his- tory, culminating in the paschal mystery—the passion, death, and resurrection of Christ. This mystery is remembered and celebrated through scriptural words and signs in the Church’s liturgy. And this mystery is the source and purpose of the sacred mysteries—the sacraments of the Church, by which God establishes and renews his covenant with each believer. Understood in this light, there is an indivisible unity between the Word of God and the people of God. The Word—made flesh in Christ and spoken in the human language of Scripture—cannot be known or understood apart from the Church. All the interlocking organs of the Church’s tradition—apostolic succes- sion, the canon, the rule of faith, the teaching office, the divine liturgy and sacra- ments—serve the Church’s mission of protecting and proclaiming the Word. Beginning as long ago as the Reformation and the Enlightenment, this original understanding ceased to be normative. Indeed, the separation, if not the outright opposition of Word and Church, is a philosophical presupposition of the modern age. This has resulted in no end of trouble. Cut off from the Church, there is no necessary relationship between Christ and the words we read in the Bible or hear in the liturgy. What Christ really said—if he really said anything at all—and what his words might mean for us today, are subjects of endless debates and theorizing, carried out in pulpits, classrooms, and academic journals. This is why biblical interpretation is such a flashpoint in our time. How to read the Bible is, at bottom, a question about the identity of Jesus. Is he Jesus of Nazareth only, or is he also the Christ, the Son of the living God? Did he have a divine mission to reveal the mystery of God, or was he only a man like others? Does he remain among us in sacrament and liturgy? Is he the way, the truth, and the life, the same yesterday, today, and forever? The modern crisis of christological belief, rooted in the crisis of biblical interpretation, has been the keen concern of Pope Benedict, even long before his now-famous Erasmus Lecture of 1988. It is telling—and unprecedented—that he spoke at length about biblical interpretation in the most symbolic of his papal in- augural statements, his homily upon assuming the chair of the Bishop of Rome. The life’s work of the former Joseph Cardinal Ratzinger casts a long shadow over this issue of Letter & Spirit. This is not out of any superficial fealty to the new pontiff; it is, rather, in recognition that his scholarship represents some of the deepest and finest thinking available on this, the most fundamental of the issues facing the Church today. In “Vatican II and the Interpretation of Sacred Scripture,” Cardinal Avery Dulles, S. J., begins with a long and pointed quote from Benedict, concerning the misrepresentations of Dei Verbum, the Second Vatican Council’s document on divine revelation. In the post-conciliar period, prominent voices claimed that Dei Verbum, in sharp departure from Church tradition, had exalted historical-critical methods as the privileged means for studying and interpreting the sacred page. Such claims, of course, mark a serious distortion, as Cardinal Dulles demonstrates in his careful, illuminating rereading of the document. The Council actually taught that Scripture must be understood in light of its unique nature, as both a human document and the inspired Word of God. This led the Council to posit three “norms” (which the Catechism would later call “criteria”) for interpretation—the unity of Scripture, the tradition of the Church, and the analogy of faith, that is, the consistency of the scriptural witness with the Church’s dogmas, doctrines, and liturgy. In this, the Council was in faithful conformity to the traditional teaching and practice of the Church. As Cardinal Dulles points out, Dei Verbum affirms and clarifies the essential unity of Scripture and the Church’s tradition, especially its magisterium. Mary Healy is also interested in the reception of Dei Verbum, especially its stipulation that Scripture must be “read and interpreted according to the same Spirit by whom it was written.” Her article, “Inspiration and Incarnation: The Christological Analogy and the Hermeneutics of Faith,” highlights an important legacy of the patristic interpretive tradition, as it is developed in Dei Verbum. The “christological analogy” is the comparison drawn—by Church fathers such as Chrysostom, Origen, and Ignatius—between the incarnation of Christ as “true God and true man,” and the Scriptures as God’s Word spoken in human language. In Christ, God came among us like a man in all things except sin; in Scripture he gives us his word in language that is like our own in all things except for error. As the incarnation marked a loving “condescension” of God in order to reveal himself, so too the giving of Scripture is an act of loving solicitude. This analogy, as Healy points out, is taught by Pope Pius XII and taken up in similar language by Dei Verbum. With appeals to papal teachings, Thomas Aquinas, and the Catechism, Healy unpacks the analogy’s interpretive implications for exegetes and theologians. She brings to light a crucial and often overlooked dimension of the Church’s teaching—the “sacramentality” of Scripture, its power not only to signify the words and events of salvation history, but also to make these saving events real and present in our lives. Cavadini acknowledges that his particular subject is also of great impor- tance to Pope Benedict, whom he quotes as saying, “there has never been until now a catechism so thoroughly formed by the Bible.” Cavadini’s attentive reading of the Catechism’s christological catechesis provides rich confirmation of this. The Catechism itself interprets Scripture according to Dei Verbum’s three norms—the unity of Scripture, the tradition of the Church, and the rule of faith. And Cavadini finds ample evidence that the Catechism quietly deploys the findings of historical and literary research to clarify teachings and to advance its “evangelical” goals. Scripture is not simply used as a “proof-text” for Catholic dogmas and doc- trines, Cavadini argues; rather, Scripture forms the very substance of the teaching. What we have in the Catechism is “a scriptural catechesis, a catechesis carried out not simply with the support of the words of Scripture, but in the words of Scripture . . . so that it almost becomes a kind of glossed scriptural proclamation. In its scriptural catechesis and its weaving of Scripture and tradition, the Catechism recovers the ancient mystagogical methods of the Church fathers; these methods were likewise shaped by the letter and spirit of sacred Scripture. The Catechism, then, is a model for what Cavadini calls a “critically aware scriptural catechesis,” that draws its content from the Word of God, as it is transmitted in Scripture, the liturgy, and the teachings of the Church. David Fagerberg taps into the rich treasures of eastern Catholicism and Orthodoxy to show how Scripture, liturgy, and theology are inseparably united in the task of revealing the mystery of God and transacting the “deification” of the believer. His “Theologia Prima: The Liturgical Mystery and the Mystery of God” reminds us that Scripture was never meant to be understood solely as a narrative history of God’s dealings with humanity. As the Word of God, it is meant to be read in the Spirit, as a divine solicitation, an invitation for the hearer of the Word to enter into that history and to be filled with the divine life that reveals itself through that history. This is the intention, also, of the divine liturgy. Fagerberg argues that, through the sacraments, everything in God’s creation, “is destined for liturgical fulfillment.” In the Church’s divine liturgy, the trinitarian mystery of God is made present in our midst in the communion of heaven and earth. Speaking in the language of the saints and mystics, Fagerberg wants us to see liturgy as “our trysting place with God,” the site where the believer embraces “God, our divine lover.” Theology, too, he argues, is at the service of the mystery of God. It is intended to be conceived as a spiritual science, nourished by prayer, in which the grammar learned in the Scriptures and the liturgy comes to reshape our souls in the image of Christ. In his contribution, “The Lord’s Prayer and the New Exodus,” Brant Pitre offers an important new interpretation of this prayer, which is the centerpiece of Christian identity and devotion, and has been called the summary of the Gospel. He explores the deep Old Testament language and imagery underlying nearly every word and phrase in Jesus’ prayer. He demonstrates that the prayer reflects a “typological” understanding of Scripture—the belief, found already in the Old Testament, that God’s actions in the future will parallel and echo his actions in the past. Specifically, Jesus is appealing to the prophets’ hopes for a “new Exodus”—a restoration of Israel from exile, and a reestablishment of the kingdom of David. This new Exodus would follow the same pattern as the original Exodus of the Israelites from Egypt. In this important article, Pitre has prepared the way for a profound spiritual exegesis of the Lord’s Prayer, one that would establish the Exodus as a paradigm and pattern for the spiritual life of the believer. This issue of Letter & Spirit comes full circle in the contribution of Scott W. Hahn, “The Authority of Mystery: The Biblical Theology of Benedict XVI.” This is the first major study of Benedict’s thought since he assumed his papal office and it is the first to emphasize how the content and method of Scripture determines the content and method of Benedict’s theology. “There is no other Catholic theologian in the last century, if ever, whose theology is as highly developed and integrated in explicitly biblical terms,” Hahn concludes. “We would be hard pressed to find another thinker who has so allowed sacred Scripture to shape and direct his theologizing.” Hahn argues that Benedict’s command of the biblical texts, the patristic interpretive tradition, and the findings of historical and literary scholarship, represents the full flowering of the Catholic biblical renewal promoted by the popes and culminating in Dei Verbum. We are also proud to present in this issue two fine exegetical studies. 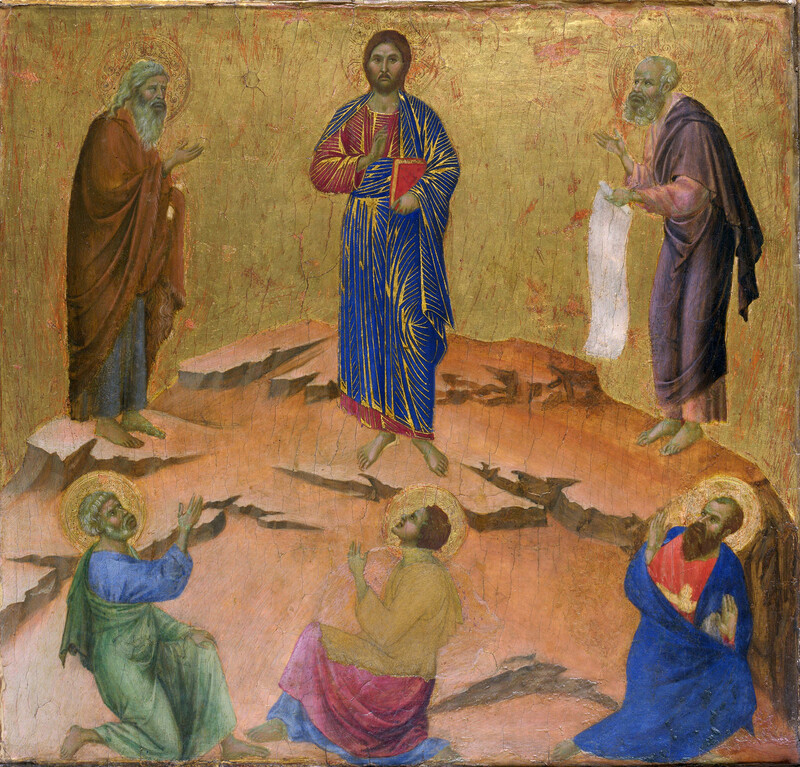 James Swetnam, S. J., argues that the final chapter of Hebrews can only be understood fully in light of the early Christian liturgy. He demonstrates a close connection be- tween the “sacrifice of praise” (Heb. 13:15) and the ancient Israelites’ todah sacrifice, which offered thanks to God for saving the believer from some life-threatening circumstance. Swetnam also detects a liturgical pattern in this chapter that is re- markably similar to the canon or Eucharistic Prayer found in the Latin Rite Mass. Swetnam’s study deepens our understanding of the Jewish roots of the Eucharist and, at the same time, has important implications for further study of the struc- ture and development of Christian liturgy. Pablo Gadenz offers a detailed literary analysis of Romans 9:24–29, a complex and difficult passage that has ramifications for understanding the New Testament teaching on the salvation of Israel and the nations. Gadenz sheds new light on this critical text by examining Paul’s use of Jewish exegetical techniques, and his nuanced appeal to Old Testament prophetic texts. In our Tradition & Traditions section, we retrieve four seminal works that we feel can help contribute to the restoration and renewal of the ancient way of reading the Bible from “the heart of the Church.” This renewal is one of the primary purposes of this journal. Pope Benedict has asserted that a return to the ancient practice of lectio divina would bring to the Church “a new spiritual springtime.” With this in mind, we specially commissioned, for this volume, the first new scholarly translation in twenty-five years of the Scala Claustralium by Guigo II (d. 1188), the classic text on lectio divina. The contribution from Jean Cardinal Daniélou, S. J. 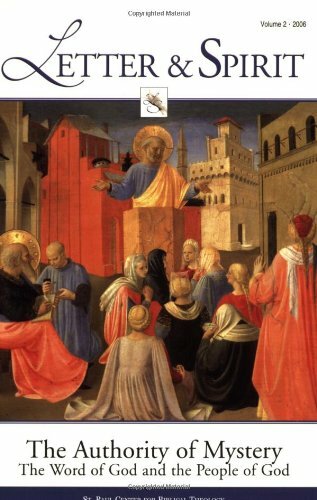 (1905–1974) is perhaps the finest treatment of the relationship between biblical salvation history and the sacramental liturgy. Through a detailed study of the patristic legacy, especially the use of typology in ancient mystagogical, or baptismal instructions, Cardinal Daniélou shows how the sacraments continue and actualize, in the era of the Church, God’s saving acts recorded in the Old and New Testaments. As a result, the Church’s “liturgy is the mistress of exegesis,” because in the liturgy the true purpose and meaning of the Scriptures is brought to light and made actual in the lives of believers. This understanding of the Church as the kingdom of God was another casualty of the “hermeneutic of discontinuity.” As Cardinal Schönborn shows, distortions of the Council’s teaching resulted in the secularization and politiciza- tion of Jesus’ message about the kingdom. As such, Cardinal Schönborn’s study makes an important contribution, not only to ecclesiology, but to christology and eschatology, as well. The contributions to this volume of Letter & Spirit testify to the authority of mys- tery that lies at the heart of the relationship between the Bible and the Church, the Word of God and the people of God. This relationship is glimpsed in the beautiful painting on our cover, made in the 1430s by the Blessed Fra Angelico, the great early-Renaissance painter. He depicts St. Peter preaching the Word in a crowded marketplace, while the disciple Mark, in the lower left, faithfully writes it down. In the San Marco Convent in Florence, Italy, this painting is found at the base of an altarpiece adorning the Linaiuoli tabernacle. 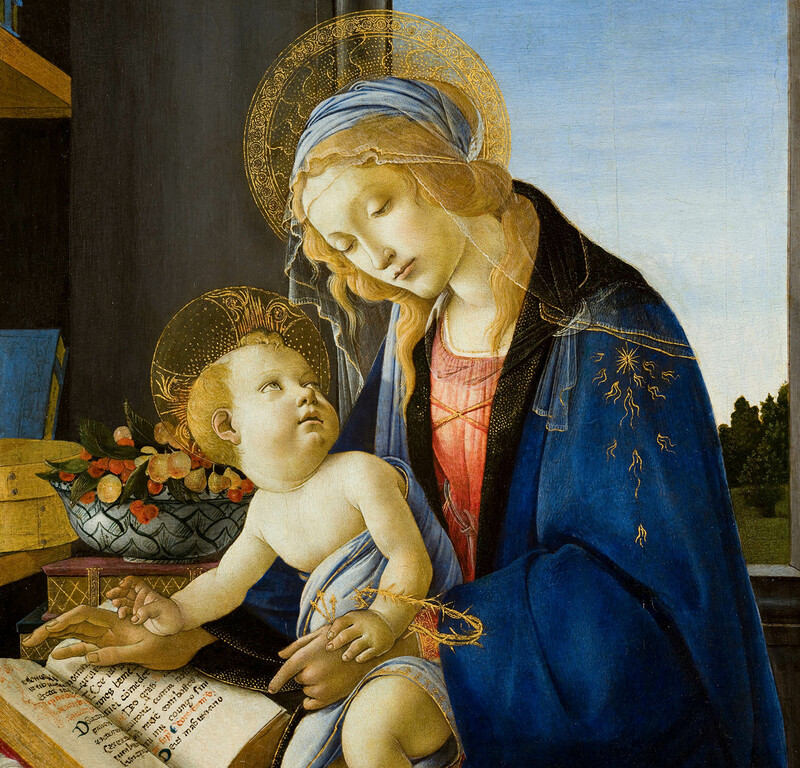 The main image in the altarpiece is of the Virgin presenting the infant Jesus, who stands in her lap in a gesture of blessing. Alongside the image of Peter and Mark in the altarpiece are two further paintings—one of the Magi adoring the infant Jesus, and the other portraying Mark’s martyrdom. Taken together, in this altarpiece we see the Church born under the author- ity of mystery. The apostles considered themselves servants of the Word, entrusted by Christ himself with a “divine office . . . to make the Word of God fully known, the mystery hidden for ages and generations” (Col. 1:25–26). They were ministers of the Word of truth, the gospel of salvation, and stewards of the mysteries, the sacraments. As we see in Acts and the New Testament epistles, the apostles spoke and wrote under the influence of God, with words taught by the Spirit. 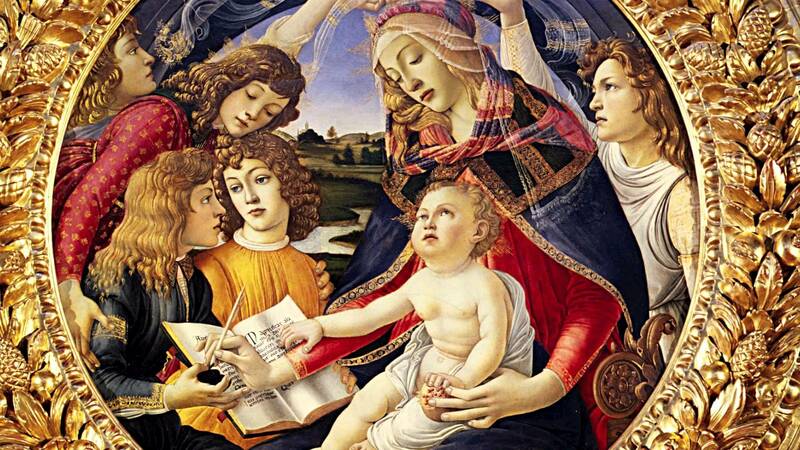 They pro- claimed the mystery of the incarnation—of the virgin birth of the Word made flesh. He was the newborn king of the Jews, whom the Magi discovered prophesied in the Scriptures of God’s chosen people. The apostles proclaimed Christ to be the fulfillment of those Scriptures, and they wrote that all might believe and have life in him; that like the Magi, every knee might bow to his name and every tongue confess that he is Lord. The apostles protected the Word from false interpretations, again under the guidance of the Spirit. And by the true Word they proclaimed, the sick were healed, the dead raised, and lives transformed. Those in the marketplace and the synagogue who accepted the Word—not as the word of men but as what it really is, the Word of God—received new life in the sacraments. As Peter said to the newly baptized, “You have been born anew . . . through the living and abiding Word of God” (1 Pet. 2:23). This was the reason the Word was made flesh and dwelt among us. This was the reason the Word of Scripture was given to us by servants like Peter, Mark, and Paul—all of whom shed their blood to hand this Word on to us. The Word continues to abide in the Church, which remains his servant, under the authority of mystery. That the mystery of God has authority, implies that the Church must be obedient to the Word and allow the Word to direct and shape its life. Obedience to the Word, in turn, must characterize the attitude of the scholar and the student of the sacred page, as it must every believer. The contributions to this volume would suggest that authentic understanding and interpretation only emerges in discipleship—through giving oneself in trusting obedience to the Word and the mystery the Word unveils. “We have to enter into a relationship of awe and obedience toward the Bible,” Pope Benedict has written. The crisis in biblical interpretation, and the resulting crisis of faith in Christ, comes because many scholars and teachers have lost this sense of awe and obedience. The crisis in biblical interpretation manifests itself today as a crisis in the image and identity of Jesus Christ. It is, then, a crisis of truth—the truth about history and the destiny of each individual. Thus, it becomes urgent to restore the authority of mystery, the indissoluble unity of the Word of God and the people of God. We hope that this volume, in which we take up the intellectual and spiritual project of Pope Benedict, might make some small contribution to the cause.